Early in 2015, a single student convinced a teacher to create a new political action club at Harwood Union High School, known as the Youth Action Committee. They recruited a few more students and made the decision to focus their attention on the issue of climate change. These students wanted to move beyond the typical school level work and take their cause to the Statehouse. The Youth Action Committee knew they were going to need a lot of help, so they reached out to over a dozen high schools and colleges from across Vermont, as well as the Vermont Public Interest Research Group (VPIRG) and 350VT. Representatives from the following high schools and colleges formed a Planning Coalition, which met on several Sunday afternoons to organize the first Youth Rally for the Planet. 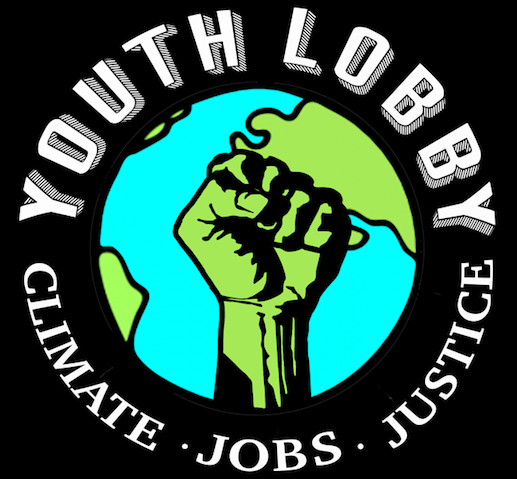 The Vermont Youth Lobby – Climate Caucus exist to educate, empower, and inspire young Vermonters to advocate for greater political action on climate change. We will do this by rallying together to work with our lawmakers and to educate youth.